Hyperbaric Oxygen Therapy is a 300 year-old medical treatment which uses pure oxygen under pressure, to speed and enhance the body's natural ability to heal. High dose oxygen therapy is an AMA, FDA, and Medicare approved modality. Sometimes used as a primary emergency treatment, it is more often used as a cost-effective adjunct or enhancement therapy. Founded in 1972 by internist Richard A.Neubauer, MD, Neubauer Hyperbaric Neurologic Center (NHNC) is a multi-disciplinary brain repair center, with unparalleled clinical experience in the use of hyperbaric oxygen therapy (HBOT) for neurological damage. We specialize in both the acute and long-standing deficits of stroke, traumatic brain injury, and other related maladies.The list for "accepted" uses of HBOT grows, while NHNC has used HBOT as an alternative or enhancement therapy for many other medical conditions, anti-aging and wellness maintenance. Used appropriately and at the correct time, HBOT can be life-saving and make the difference between coma and non-coma, paralysis and non-paralysis, or between illness and health. 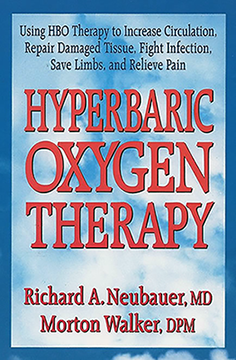 Dr. Neubauer's pioneering work with hyperbaric oxygen and the potentially recoverable brain led to the development of the first medical center in the world to focus on the role of HBOT in aiding the recovery of patients from stroke, coma, traumatic brain injury, cerebral palsy, and anoxic encephalopathy. Improvements for patients with Multiple Sclerosis, ALS and Parkinson's are documented in NHNC case studies. NHNC was the first center in the world to successfully treat mitochondrial disease with hyperbaric oxygen. Riding the wave of mid-20th century scientists world-wide, who began reporting positive to dramatic improvement in certain patients treated with hyperbaric oxygen, Dr. Neubauer, with colleague Sheldon F. Gottlieb, published the Neubauer-Gottlieb Technique for staining and assessing areas of brain injury with SPECT scans, before, during, and after HBOT. This not only provided clinicians a way to observe and measure revitalization of injured tissue as patients made gains physically and mentally, it upset the apple cart of traditional thought that all neurons surrounding an area of brain injury are dead. "People should know that many, many neurological cases suffer from a deficit of oxygen, and that most brain dyfunction is similar to an atom bomb attack. There is an epicenter where nothing can be done. Surrounding this is a volume of sleeping, dormant idling nerve cells that are receiving enough oxygen to exist- but not enough to fire electrically. Our forte has been to visualize, digitize, color-code and demonstrate these areas and using these tools to see if HBOT may help viable, yet sleeping brain cells to recover," stated Dr. Neubauer. "Our mission is to identify what portions of the brain are recoverable, and to assist them in recovering. We were and the first to be able to bring them back through the use of HBOT." 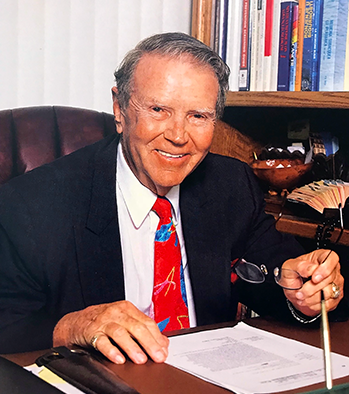 Up to his death in 2007, Dr. Neubauer documented and published remarkable Case Studies, presented his work at World Symposiums, co-founded The American College of Hyperbaric Medicine, and in his own clinic restored lives, improved lives, and gave hope to families whose physicians had no options for them. In 2010 his original center was re-organized and re-outfitted to a state-of-the art outpatient hyperbaric oxygen facility. 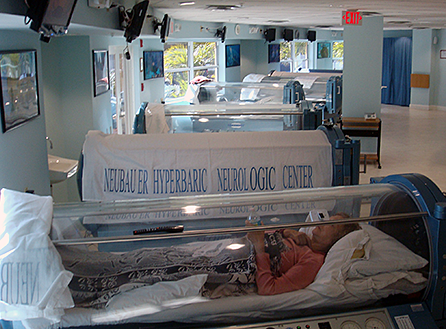 For 40 years, NHNC has been a leader in HBOT, committed to scientific standards and stringent, ethical patient care. Not every patient experiences dramatic Case Study results- there is still a variable patient to patient. Though timely therapy is emphasized, there are still those cases where, after HBOT and neurorehabilitation, functionality is re-gained or to some degree improved, decades after a brain injury. For debilitated persons in long-term care, even small gains in functionality greatly reduce costs. Long-term neurorehabilitation is not readily available or often undertaken. Minimal therapy may be performed to prevent decubiti and help reduce spasticity. Currently, an active therapy approach is not considered. However, at the Ocean Hyperbaric Neurologic Center, a new method has been devised. Late intensive neurorehabilitation has become standard practice where the clinic deals with high-dose oxygen and the recoverable brain. Long-term major brain insults treated therein consist of ischemic thrombotic (1) or hemorrhagic stroke, severe traumatic brain injury, and anoxic ischemic encephalopathy( 2 ), with all of these cases ranging from semi- ambulatory to apolic coma. (3) Encouraging to dramatic results has been observed in a large number of patients treated. Approximately 600,000 cases of stroke occur each year in the United States, i.e., one every fifty-three seconds. Medical bills and lost earnings of Americans who suffer stroke each year total forty-one billion dollars. Irrespective of all attempted therapies including thrombolysis, calcium channel blockers, glutamine antagonist, steroids, lazroids, etc., the basic deficit is that of oxygen reduction or deprivation... Our early data strongly indicated that after four-to-six-hour window to approximately one week, hyperbaric oxygenation was not nearly as dramatic or effective as in the initial stages. Earlier intervention rendered a more pronounced effect on stopping or limiting the ischemic cascade (3) associated with multiple biochemical actions that take place as the body's defense against hypoxia.. This article describes the pioneering work of Richard A. Neubauer, MD with hyperbaric oxygen and recoverable brain cells during coma or vegetative state. Dr. Neubauer's book is in the process of being edited for re-publication. We will not be able to offer the new book free of charge. HBOT requires a prescription, which can be obtained from your personal physician, or after evaluation by our Medical Director. 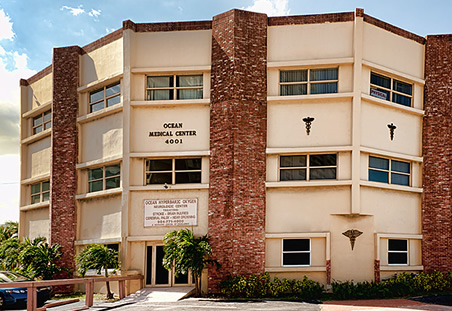 NHNC serves doctors and their patients in South Florida and throughout the world. If you feel you or a loved one can benefit from hyperbaric oxygen therapy, we are here to answer your questions or arrange a consultation. Our friendly, dedicated staff is always available to assist patients and their caregivers.